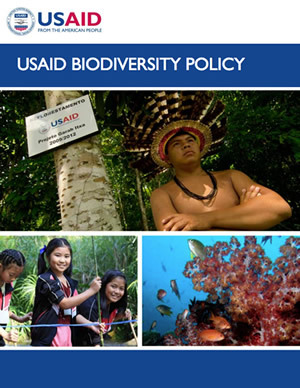 Contributors: Authors: Forestry & Biodiversity Office and the USAID/BRIDGE Project. Intuitively we understand that humans cannot survive, much less thrive, without the products and services nature provides: clean water, fresh air, plants and animals, fertile soil. Yet it has been challenging to integrate the value of these services into global economic and development planning. Food security, health and ultimately economic growth are threatened when nature is undervalued and pressures on natural systems increase. For example, the world’s population is projected to grow to more than nine billion by 2050, and as a result, increased food demands will impact the use of land and reliance on other natural resources, such as water. We face enormous challenges to ensure food security while protecting ecosystems and biodiversity and advancing development in ways that benefit human well-being. Assigning monetary value to nature’s services is only a partial solution. Shifts in incentive structures, consumption patterns and other structural changes are needed. Dr. Taylor Ricketts, Director of the University of Vermont’s Gund Institute for Environment, is focused on this global concern. 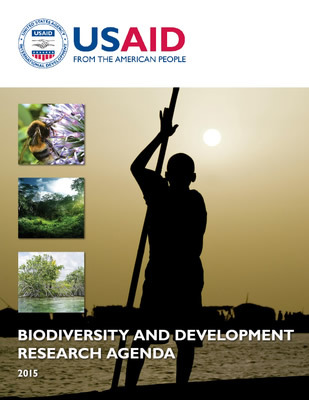 He recently met with USAID staff and the USAID-funded Biodiversity Results and Integrated Development Gains Enhanced (BRIDGE) project to share information on work at the institute. Ricketts weaves a story based on years of scientific research and data collection. 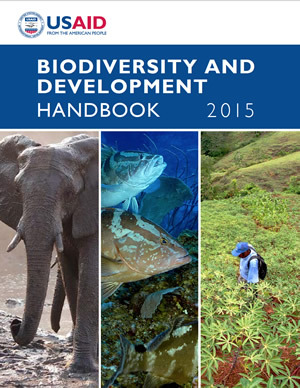 The story calls for action by policymakers to invest in the protection of biodiverse ecosystems so that nature can provide the ecosystem services that underpin human well-being. Food security depends on ecosystem services such as clean water, pollination, and fish and forest products that are important to many rural populations’ diets. Ricketts pointed out that 70 percent of the most consumed foods worldwide rely on natural pollinators. Berries are juicier, coffee beans grow better and farmers reap higher-quality yields from their agricultural labor when habitat for native pollinators is conserved. To further this point, Ricketts discussed research on the connection between healthy forest cover and coffee growing. He and his team found that when farmers grew coffee nearer to forests, where more bees and other animal pollinators were able to thrive, their coffee shrubs were more efficiently pollinated. As coffee was grown farther away from pollinator-dense areas, yields were about 20% lower and also were of lower quality. “We know what else that means,” he said. “Lower yields mean less profit.” Ricketts says with proper pollination, the increased yields can raise farmers’ income as much as seven percent. It’s not easy to place value on the invaluable. Ricketts and his colleagues work to quantify the many benefits we gain from nature, as well as risks from environmental degradation. For instance, they have found that a third of global disease can be attributed to environmental degradation. Gund Institute studies have also shown a direct correlation between healthy watersheds and forest cover and better health and nutrition among those living nearby, especially children. When those natural systems are disturbed, there is a notable increase in diarrhea and stunting in children—a condition that can carry life-long risks to health and well-being. Ricketts realizes that making the case that nature is important to development and human well-being takes more than just quantifying the economic value of biodiverse ecosystems. This is why Ricketts and the team at the Gund Institute offer policy-relevant research through outreach and partnerships between research institutions, implementing organizations and donors like USAID. Taylor Ricketts, Ph.D., integrates natural and social sciences to address both fundamental scientific issues and real-world conservation problems. His recent work focuses on the economic benefits provided to people by forests, wetlands, reefs and other natural areas. Taylor is a co-founder of the Natural Capital Project, a partnership among universities and NGOs that maps and values natural benefits for different communities around the world.